We give high premium on training. Our guards undergo a well rounded and thorough training in all aspects of security work before they are given assignments. The minimum requirement of guard is at least two (2) years of college education. To ensure quality service and adherence to our values and principles, the trainings are conducted by our own instructors. A specialized training is done based on the requirements of clients. No guard is given a post without having gone through the agency's training programs. Likewise, the required government license to practice the profession is a must to have before anyone is allowed to work..
We have a total force of ONE THOUSAND (1,000) highly trained and duly licensed guards. Clients are given the option to select the guards to be deployed in their premises. Total quality service is foremost of our commitments to our clients. We offer a healthy working environment and relationship among our guards, the agency and our clients, free from work interruptions and disruptions such as but not limited to work stoppage, strikes and other labor related problems and concerns. We can make such assurance because our guards are not members of a labor union. Nor are they affiliates of any labor organizations. Our guards, while on duty, are in complete uniform. Ordinarily, the uniform of guards is the "blue type". However, clients have the prerogative to request and prescribe the type of uniform they wish to adopt. All guards are usually equipped with duly licensed firearms, not lower than caliber .38 revolver or .12 gauge shotguns and two-way radios. Other equipments may be supplied subject to prior arrangement and coordination. Generally, our guards are supervised by Agency Officers. However, clients shall have administrative management over them. Thus, it is a part of the duties and responsibilities of guards to obey and implement all lawful orders and instructions of Clients. COMPENSABILITY CLAIMS. We assume total responsibility in the event of death due to accident or incapacitation by any injury of the guards in the performance of their duty. We are likewise fully liable to our guards on and for any and all demands, claims or actions relative to their employment, including but not limited to Presidential Decrees, Labor Laws, Rules and Regulations. Clients are at all times held free and blameless to the guards on matters affecting their employment. No employer-employee relationship exists between the guards and clients. We make full restitution and arrange for the recovery of such loss or damage should a client suffer losses through theft, robbery and pilferage or damages to property through the negligence of our security guards, as established by investigation of competent authorities. It is understood, however, that we shall not be held liable for any damage or losses beyond our control caused by force majeure or fortuitous events. 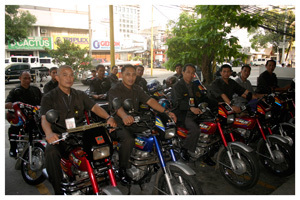 We provide a TWO MILLION PESOS (P 2,000,000.00) liability per occurrence for any injury to clients' employees or customers or damage to clients' properties caused by our guards accidentally, except when lawfully performing their duties in protecting the interest of clients such as defending it against unlawful perpetrators or pacifying unruly employees in the event of a strike. We maintain daily routine inspection of guards and weekly assessment of our service performance. Aside from the Agency regular monthly meeting of guards, our Operations Officers personally conduct regular detachment inspections. Likewise in order to maintain a good working relationship with clients, they perform and do normal courtesy and coordination calls on clients' officers, charged with the supervision of our security guards. The performance of every guard is also evaluated by the Agency with the help of security manager of clients on a trimestral basis to ensure quality services. We offer to all our clients, at no added cost, security survey and audit, consultancy on total security programs, concepts and practices to compliment and optimize the efficiency of the guards. Our key officers are all experienced in the field of industrial security. 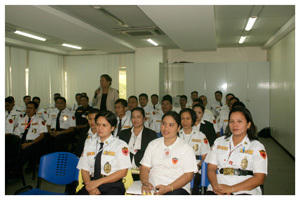 They are very much qualified and certified as professional security practitioners. 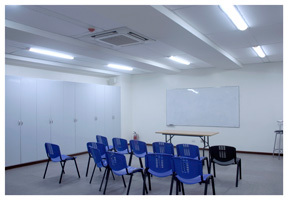 The agency maintains a training facility. In addition to the pre-posting training, we provide a continuous and periodic training program for all guards. Clients, however, have the prerogative to adopt and recommend a training module which is tailored-fit to their requirements. The Agency, in general, adopts the requirements of R.A. 5847 as the minimum standard for the qualification of guards. Clients, nonetheless, have the right and prerogative to establish the acceptable qualifications of guards to be assigned in their premises. Clients will never be dragged into and impleaded as a party to labor cases. We guarantee and maintain that clients are free and blameless should there be unscrupulous, unfounded cases filed against them by guards. The contract rate is in accordance with existing legislation. All monetary considerations and benefits due to guards are paid directly to them. We uphold a straight forward yet cordial business relationship with all our business partners - our clients and guards.